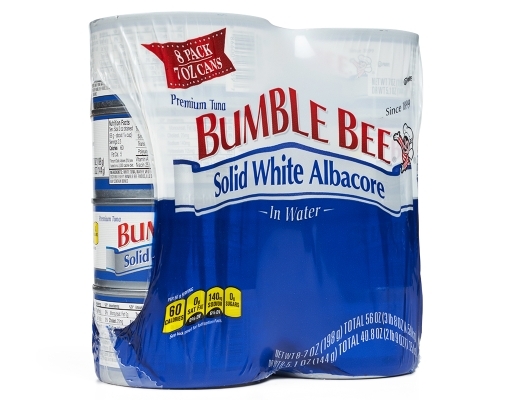 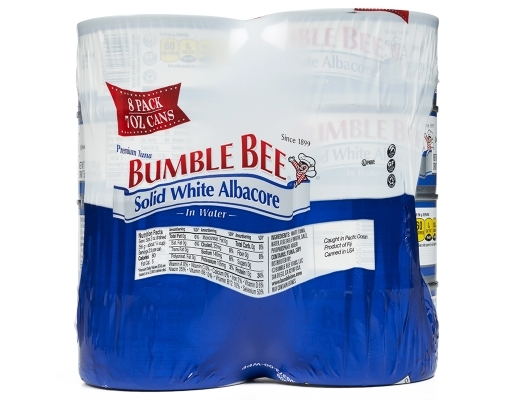 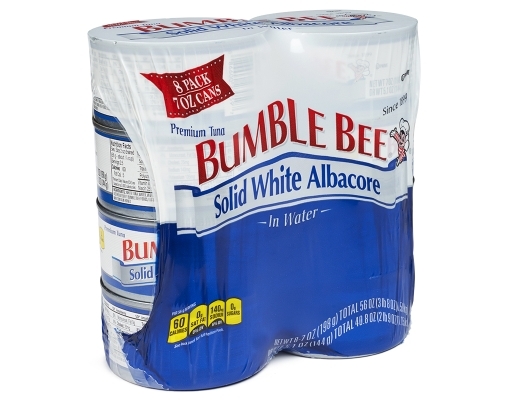 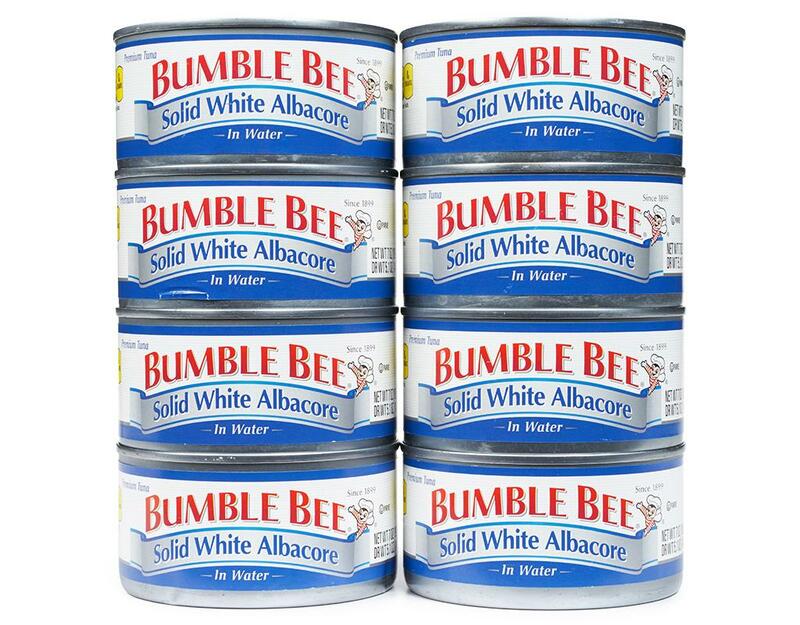 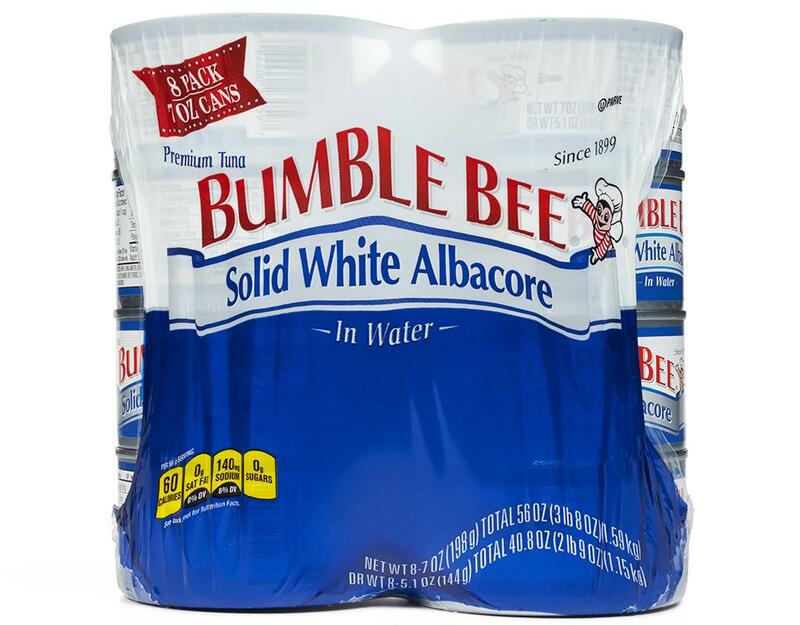 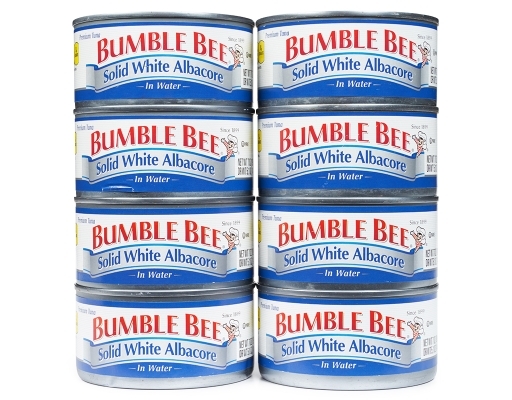 This Bumble Bee Solid White Albacore contains eight cans of delicious and healthy solid white albacore tuna in water. 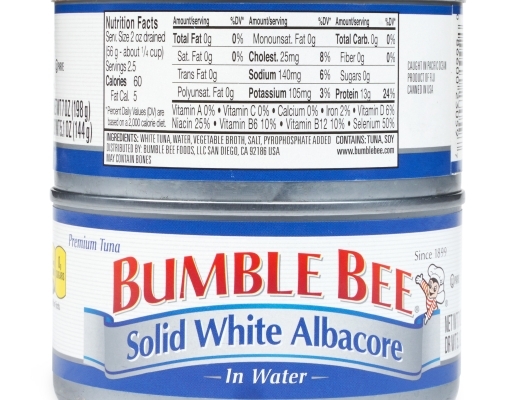 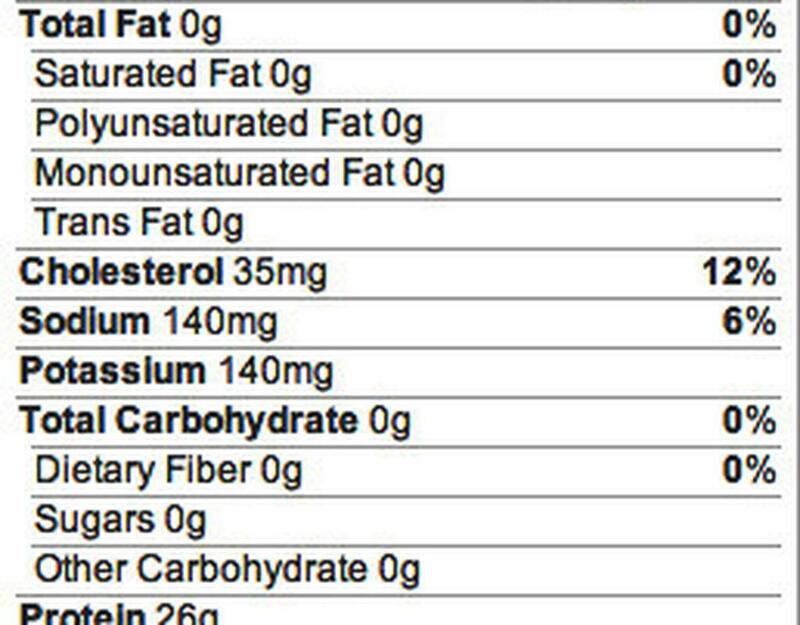 This Bumble Bee Tuna is suitable for a kosher diet, and it is also an excellent source of Omega-3. 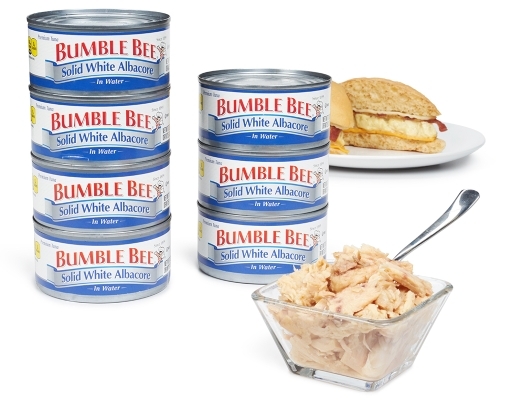 This Bumble Bee Solid White Albacore meets American Heart Association food criteria for saturated fat and cholesterol for healthy people over age 2. Bumble Bee Tuna offers you a nutritious meal solution because it is low in saturated fat and cholesterol and can help reduce your risk of heart disease. 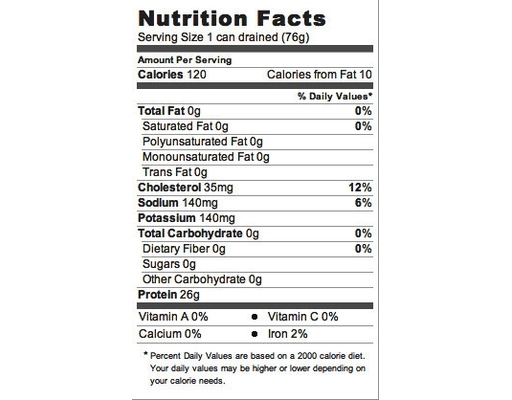 Bumble Bee seafood is dolphin-safe and is made with an eco-friendly manufacturing process.